How to watch Crouching Tiger, Hidden Dragon (2000) on Netflix India! Sorry, Crouching Tiger, Hidden Dragon is not available on Indian Netflix, but you can unlock it right now in India and start watching! With a few simple steps you can change your Netflix region to a country like USA and start watching American Netflix, which includes Crouching Tiger, Hidden Dragon. We'll keep checking Netflix India for Crouching Tiger, Hidden Dragon, and this page will be updated with any changes. 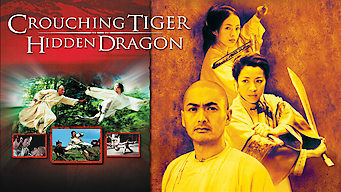 Crouching Tiger, Hidden Dragon is not available in India BUT it can be unlocked and viewed! A young woman in ancient China longs for an adventurous life rather than a dull arranged marriage in Ang Lee's Oscar-winning martial arts epic. These warriors rise to the occasion in more ways than one. They take the fight to the roof and treetops. There is a way to watch Crouching Tiger, Hidden Dragon in India, even though it isn't currently available on Netflix locally. What you need is a system that lets you change your Netflix country. With a few simple steps you can be watching Crouching Tiger, Hidden Dragon and thousands of other titles! Watch "Crouching Tiger, Hidden Dragon"